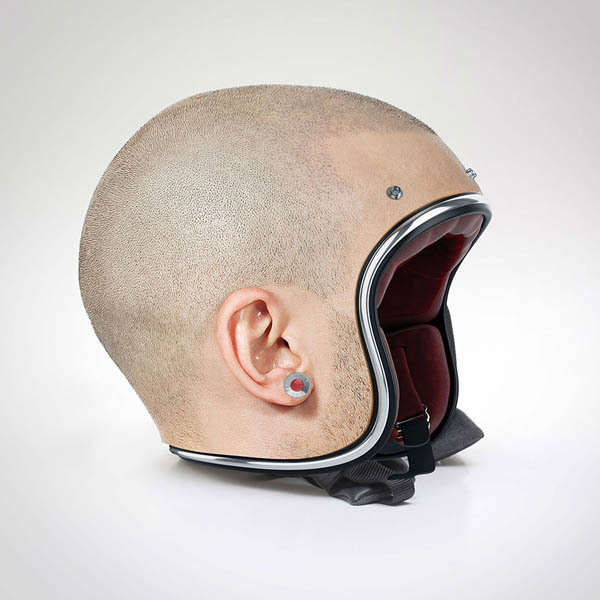 As a passionate motorcyclist, Dubai-based digital designer Jyo John Mullor love everything about motorbiking but the helmets which he think might be the most uncomfortable gear you could ever wear. Project HumanHelmet is an outcome of his extreme dislike to wearing a thick, clunky piece of metal. 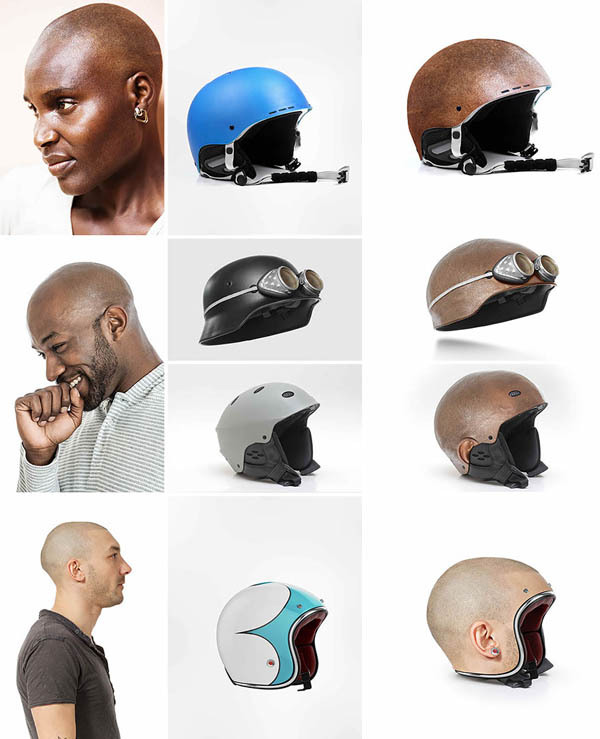 Hence, he designed a series of helmet which supposes not only comfortable to wear but actually looked like your own head as well – A totally customizable helmet where you could have an image of your won head printed on it. 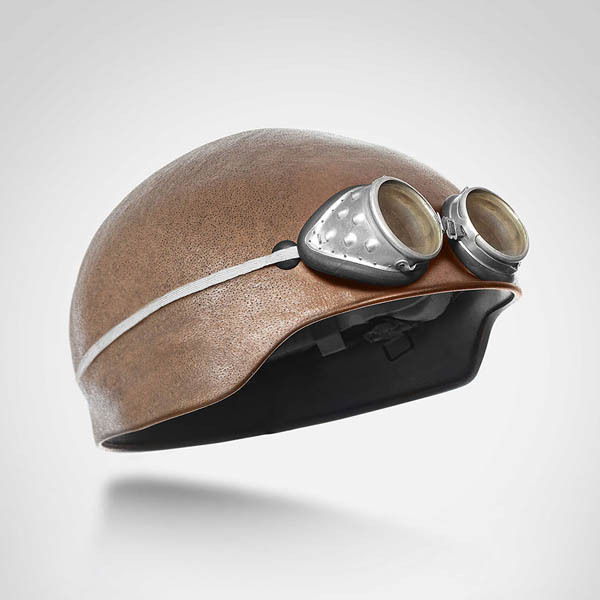 Currently, Mullor imagined four variations include a motorcycle cap with ears and earrings, a simple bicycle style with shaved brunette hair, and a vintage safety hat with attached goggles stretching over the surface of the skin. Too bad those customized helmets are only made through photo editing. 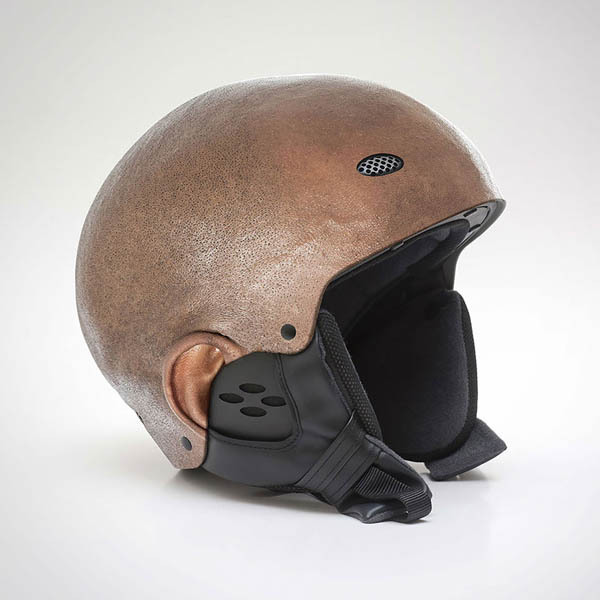 But according to the designer this project has received appreciations from around the globe and some manufactures have already shown interest in launching a line of helmets under this design umbrella. 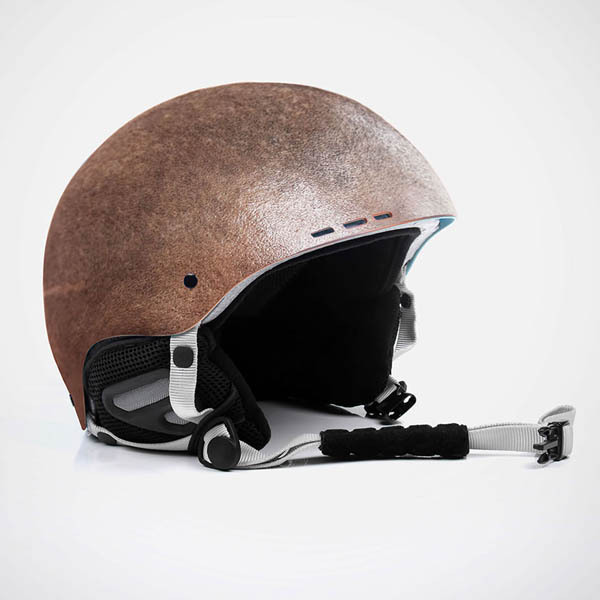 So if one day you saw someone wear this type of helmet passing by, don’t be too surprised.